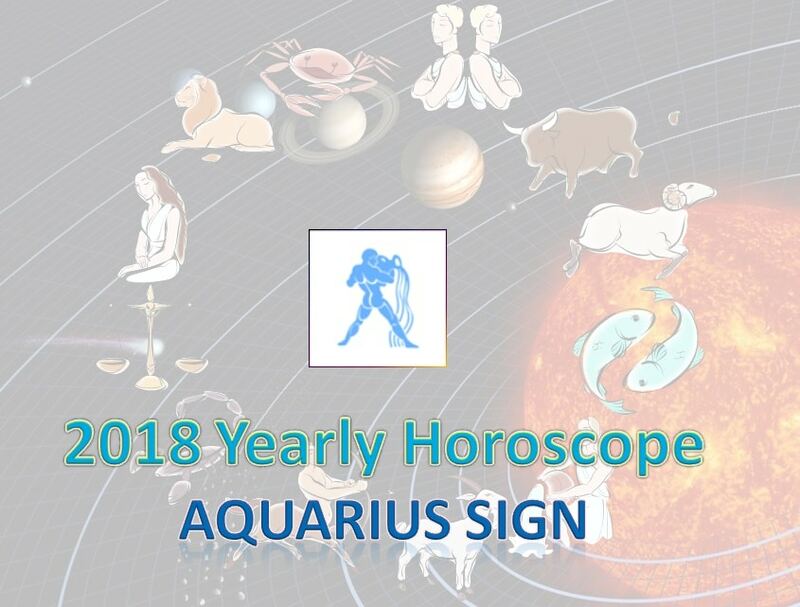 This New Year 2018 brings in positive changes to the lives of Aquarius sign people. The transit of Lord Saturn over all the Houses takes a period of 30 years. During this, He gives beneficial outcomes only when placed in the 3rd, 6th and 11th Houses for a person. Now planet Saturn is in your 11th House, which happens once in 30 years. Positive changes will occur throughout the year in your work and business. Your job will take off and you can expand your trade. Your profession and business will function well. Problems in your family will vanish. Marital relationships will get better. Couples who had separated due to differences of opinion or work-related transfers will get back together. The low confidence and negative thoughts that plagued you for the past few years will go away. Self-employed will see the results of their efforts. Your financial situation will hold good and money flow will be generous. Those who had suffered from lack of proper occupation will land a satisfactory job with good income. Those who are preparing for the central or state level examinations or IAS group one examinations will succeed. People awaiting their results will receive good grades. Hurdles that prevented you from working in other states will vanish. Students will have a great year especially during the first half of this year 2018. As you will come to realise which vocation to take up for your life, this year is very important for you. Divorce cases will end successfully. Difference of opinion between you and your relations will go away. Artists will receive new projects. Long overdue salaries will be paid to you. Misunderstandings between employees and employers will get resolved. Happy events will start occurring in your family. Those who are unmarried will get hitched soon. Those who had struggled to land proper jobs will get the job of their choice and settle down. Long held financial expectations will be met. Elderly people will go on pilgrimages. You will have the chance to meet great saints and visit the resting places of great spiritual leaders. Foreign related issues will be highly advantageous for you. So travelling abroad for work or studies will be profitable and successful. Some will exchange their old vehicles for newer, high end versions. Stock market, speculation and competitions will yield good results. Your financial situation will improve. Your share of ancestral properties will come to your hand. Partnership problems will get over. Issues at your work will get resolved smoothly. You will receive promotions. You will get the transfer you had asked for earlier. Those living in joint family will separate and start living at a new place. Those driving commercial vehicles, supervising daily wagers, those running petrol bunks, orphanages, alcoholic beverages, farmers, real estate agents, doctors, low-level employees, police, road cleaners, Panchayat leaders, Councillors will have a great time ahead. People who live in rented houses will get housing loans and buy your own house. Those living in large cities will buy apartments. You will buy superior models of vehicles. Some will change to better houses for rent. Whatever you buy, you should check well for dispute. Farmers will have a good year. You will get a good rate for your crops. Commercial crops and oil seed crops will bring in profits. Artists, public workers, social workers and students everyone will benefit from the planetary changes this year. Women will have a great time. Your husband and family members will listen to your advice and respect you. Working women will receive salary rise, promotions and other. Your long cherished dream will come true now. Everyone will appreciate you. You will receive whatever you ask for. You will be treated well everywhere. In short, the planetary conjugations will bring in cheerful changes throughout this year for Aquarian.